A new product aimed at businesses wanting to take advantage of Facebook-commerce (f-commerce) has launched today. 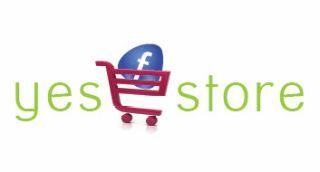 The new YESfstore Facebook storefront, allows customers to view and purchase products, get recommendations from friends and make secure payments with their credit or debit cards without leaving the Facebook application. Dr. Chandra Patni CEO & CTO, YESpay International says, "Facebook is the biggest IPO of our time and, in a way, we can say it is the third biggest country in the world. By captivating this social media opportunity, we have developed YESfstore that offers a web store experience optimised for and inside Facebook pages and canvasses. This allows merchants to give their customers a shopping experience without leaving the Facebook community pages." YESfstore is a hosted Facebook social commerce service where retailers can display and market their goods and services, and take payments and offers the following features.